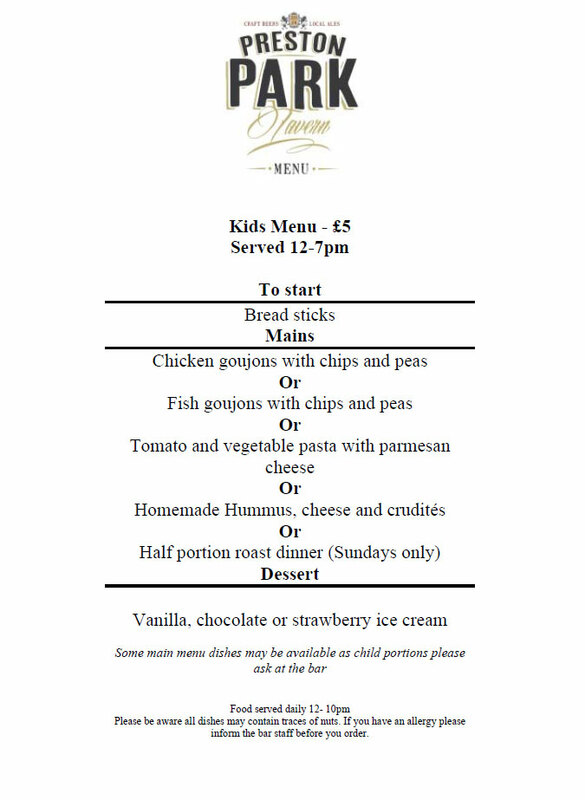 Food is available Mon-Sat 12-10pm, Sun 12-8pm. Our food is locally sourced and freshly prepared with our meat being supplied by Barfields of Fiveways. Bookings available of any size Sundays all day and weekdays 12 - 5pm. All other times we only accept bookings for 6 or more people.